Melissa Gilbert filed for divorce from her husband, Bruce Boxleitner, this past week. Gilbert's sister, The Talk's Sara Gilbert of Roseanne fame, also announced she and long-time partner, Allison Adler, were separating. Both sisters will be single parents now. Melissa Gilbert is seeking joint custody of her and Boxleitner's son Michael, 15, who was named after Gilbert's costar and mentor Michael Landon on TV's Little House on the Prairie. 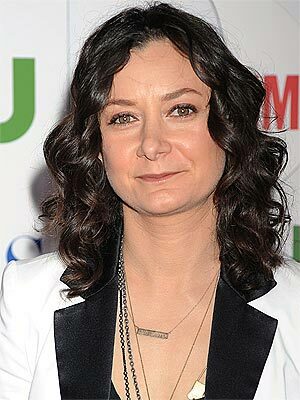 Sara Gilbert will also share custody of her two children, son Levi, 6½, and daughter Sawyer, 4.with Adler.